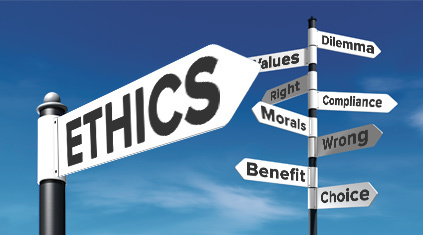 Business Ethics and Compliance make the difference between the long-term successful business and one-shot or obscure operations that aim to profit no matter what and, in practice, there are different kinds of taking into consideration the Ethics and the commitment to an ethical way of doing business. Having an ethical business behavior may be a tough challenge in an extremely competing world where the challengers do not always play fairly and the “shortcuts” used by them appear to be very tempting and profitable. But, in fact, "the perfect crime does not exist" is the right idea and bearing in mind that the "dirty" profit could turn into disaster and uncalculated loses is healthy for a strong and consistent business. Anyway, recent cases that convulsed big and strong international organizations have shown that the good reputation means much more than a good image. This is why we accompany our clients to preserve their business reputation properly in each action and day-to-day business by avoiding without hesitation "compromising compromises" and by managing the business in perfect compliance. We have a relevant exposure and we are experienced and qualified to assist our clients in Ethics Policies' design and their implementation, legal audit and training on Ethics & Compliance, but also in performing special investigations when the case may be.